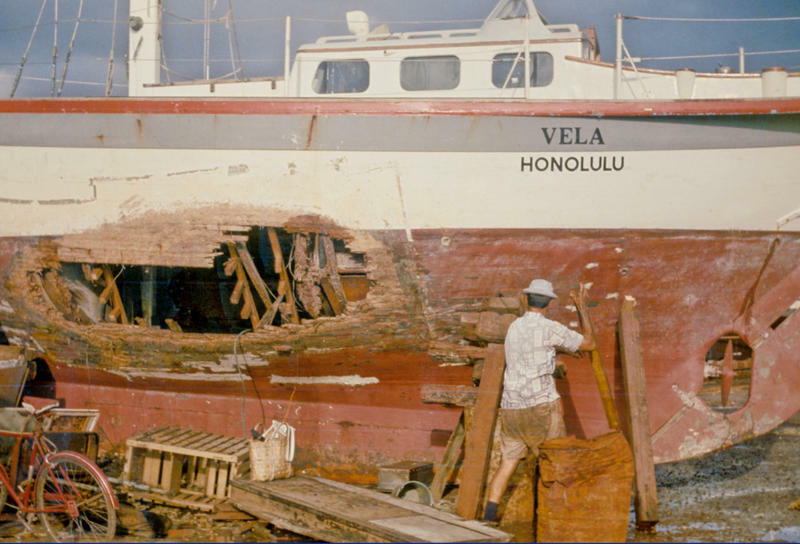 The Vela after it was salvaged from the reef off the coast of Fiji. 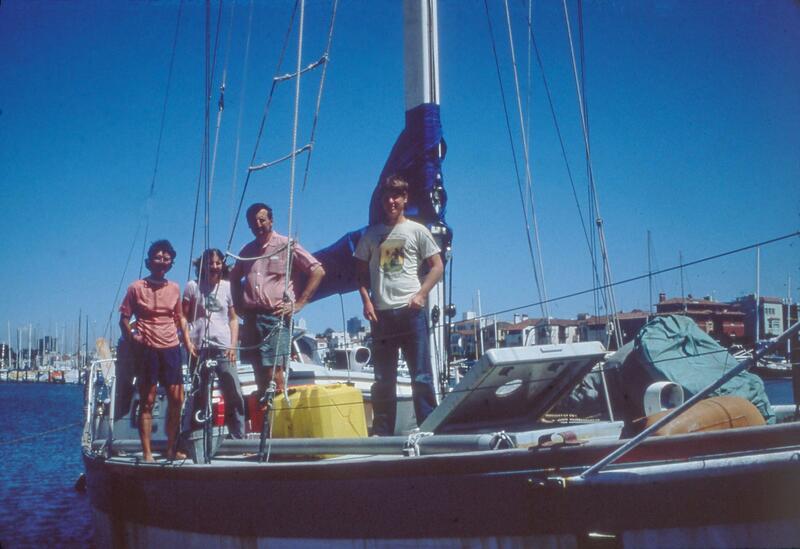 The Wilcox family when they returned to San Fransisco in 1979. This story originally aired on May 13, 2017. Their story starts in the early 1970s in San Francisco Bay where Chuck Wilcox and his wife Dawn loved to sail with their two kids, Garth and Linda. They would glide through the waters of the protected bay, Chuck dreaming of life at sea and Dawn imagining all the new places they could visit. Chuck and Dawn eventually asked, "Why not sail around the world? Why not show our kids what life is like beyond San Francisco?" "So they went out and took all the navigation courses — learned how to fix diesel engines,” said Garth Wilcox. Garth was just 13 years old at that time. Today he’s a naval architect in Seattle. His wife, Wendy Hinman wrote a book about the Wilcox family’s adventures called, "Sea Trials, Around the World with Duct Tape and Bailing Wire." This crash changed everything for the Wilcox family and especially for Garth, who took on a major role in rebuilding the ship after it was salvaged several weeks later. He shares stories from that challenging time and how it shaped his young adulthood.